Tecno Mobile, makers of Tecno phones has sparked a new selfie passion among its smartphone fans with the launch of Camon X and Xpro sporting 24 megapixel front camera to deliver higher picture resolution. The Chinese device maker pitches that the new Camon X and Camon X Pro also sport “enhanced” cameras compared to their predecessors, that are optimised for low-light conditions. Let’s have a look at what it has to offer and if it is actually worth the extra cost. Though the phones look strikingly similar and can be easily confused, both devices are the continuation of the Camon lines and direct upgrades to the Camon CX, CX Air and CM, Tecno’s first full view smartphone with 18:9 aspect ratio. The unique selfie camera features include the “4-in-1” mode, which means it uses four different small cells to balance colour, lighting and combines them into one picture; Bokeh effect mode to place more focus on your face than the background; Intelligent adjustable flashlight, “Artificial Intelligence -powered” selfies beautification and 3 High-dynamic-range(HDR) mode for portrait and group selfies. Camon X Pro looks very much like the Camon X, as it comes with the same 18:9 aspect ratio and reduced bezels. Also, it retains the same polycarbonate build with the camera and flash arranged horizontally at the top left corner. You can choose from two colour variants which is the Midnight Black and Bordeaux Red respectively. The newly introduced Camon devices are housed in a rectangular shaped box with the phone and device name beautifully designed. When the box is removed, the first thing one would see is the phone with a sticker and the key specs; 6.0 inch FHD+ 2.5D display, Android 8.1 Oreo, 2.0GHz Octa-Core, Mediatek Helio P23, 4GB RAM, 64GB ROM, 16MP back camera with Quad-Ring Flash, 24MP front with Dual Flash, the fingerprint sensor, Face ID, 3750mAh battery. When it comes to the accessories, just like most Tecno products, there is nothing to worry about as it is packaged with all the the usual suspects: a user manual, warranty Card, SIM Ejector Tool, 3-pin wall adapter charger, one USB 2.0 Cable, Boom play Music card, one phone case and a pair earphone. The earphone is a little different from what we are used to especially on the Camon series. This particular one is quite beautiful, comparing it with that of the Phantom 8. It could be said that it has the best headphone compared to other Tecno devices as it is loud and the audio quality is great too. Also, the device accepts two Nano SIM cards and a slot for MicroSD card, the volume controller buttons, power ON/OFF button and the SIM/SDcard slots are found on the right-hand side. The audio jack, noise cancellation, USB 2.0 port and the mono speaker can be found at the bottom of the phone. Battery capacity appears to be the same on both smartphones with fast charge also included. This means there is a 3,750mAh non removable Li-Po battery. However, battery capacity also depends on other display resolution which in this case weighs more on the battery among other things. Between the Tecno Camon X and X Pro, there is the same chipset but different in other hardware aspects. You will find a an Octa-core MediaTek MT6763T processor running at a maximum speed of 2.0GHz. This is combined with a Mali GPU for graphics rendering. The upgrade between both smartphones is seen in terms of storage space and memory. Displays: Camon X has a HD+ screen while Camon X Pro has a FHD+ screen. Price: Camon X is cheaper than Camon X Pro. Tecno Camon X and Camon X Pro Display: They both pack a 6-inch IPS LCD display, built into an 18:9 aspect ratio. The display resolution is 2160 x 1080 pixel on the pro edition, and 1440 x 720p on the Camon X standard edition, both covered with Corning Gorilla, to combat scratches. 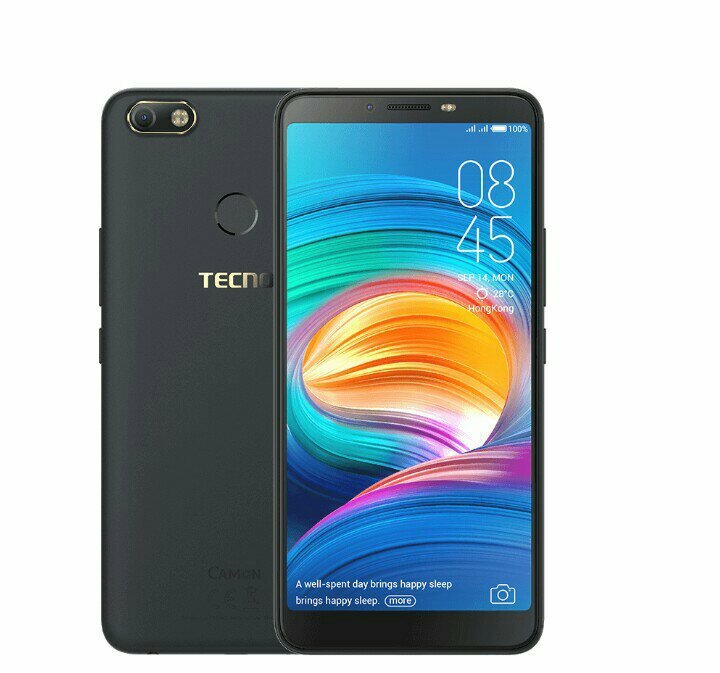 On the software department, Tecno Camon X and the X pro Comes with Android 8.1 (Oreo), underneath Tecno’s propitiatory HiOS 3.3. The smartphone cost an average of N75,000 depending on the deal and your location. Tecno Camon X and the X Pro is available in 22 countries across Africa, including Nigeria, Kenya, Ghana, Egypt, Cameroon, Tanzania, Uganda, Rwanda, among others. It will also launch in the United Arab Emirates (UAE) and India.